Orkid Coskuner-Weber completed her PhD studies in biophysics and physical chemistry at the University of Cologne in Germany. She worked as a postdoctoral scientist at the Johns Hopkins University and then at Stanford University. She was a research assistant professor at George Mason University and an assistant professor at the University of Texas at San Antonio. Currently, she is an assistant professor at the Turkish-German University and took a position in Istanbul for opening the Alzheimer´s and Parkinson´s disease research center. She has been working as a scientist at the National Institute of Standards and Technology, USA, since 2005. Stefan Zielonka has received his PhD from the Technische Universitaet of Darmstadt, Germany, where he worked in the Group of Harald Kolmar in the field of Protein Engineering of non-canonical antibodies. Now, he works as Senior Scientist at Merck KGaA (EMD Serono), Germany, in the Department Protein Engineering and Antibody Technologies (PEAT). He was Fellow of the Merck’sche Gesellschaft fuer Kunst und Wissenschaft e.V. and was awarded with the Kurt-Ruths-Award (2016) and the Rain¬er-Rudolph-Award in Biotechnology and Protein Chemistry (2016). Dr. Ricardo Bonfim Silva is Bachelor in Biological Science with emphasis in Genetics by the State University Southwest Bahia-Brazil, Master and Ph.D. in Genetics by the Medical School of Ribeirão Preto of the University of São Paulo (FMRP-USP-Brazil) and concluded a Ph.D. research internship at Indiana University School of Medicine of the Indiana University-Purdue University Indianapolis-USA. Currently he is Posdoctoral fellow at Molecular Biology Laboratory at FMRP-USP and conducts research in the Molecular Neuro-oncology area, specifically in Medulloblastoma. He has experience in Tumor Microenvironment, Long non-coding RNAs (LncRNAs), Mesenquimal Stem cells, Human and Medical Genetics, and Molecular and Cell Biology ,and he is reviewer of some Research Journals and has publications in those areas. Molecular and cellular Oncology; Tumor Microenvironment; Long noncoding RNAs; Mesenquimal Stem cells; Human and Medical Genetics; and Molecular and Cell Biology. Dr Ahmed is a consultant Gastroenterology at University Hospital Southampton NHS Foundation Trust and visiting consultant at East Sussex Hospitals NHS foundation trust Eastbourne. He is also an Hon. Senior clinical lecturer at the University of Southampton UK. His research interests include investigating the changes in the smell of faeces and breathe in order to understand the pathophysiological mechanisms of GI disorders and to develop a non-invasive biomarker. Through formal laboratory research, Dr Ahmed studied the faecal volatile metabolomics profiles of patients with Liver disease ( NAFLD) , IBD and irritable bowel syndrome (IBS) in comparison with healthy individuals, and was awarded the degree of Doctorate of Medicine (MD) by University of the Bristol in 2012. Jaleel Kareem Ahmed has expertise in evaluation in iron and steel industry. He has registered 3 patents in USA, UK and Iraq about using water in iron industry and wax for storage and transportation direct reduced iron (DRI) and using wax for carburizing of steel. In 2013, he was awarded Scientific Medal from Iraqi Government. He has been serving as a Reviewer of Journal of Advances in Polymer Technology, Thomson Reuters. Mr. Muhammad Usman, Former Director General of Agricultural Research System, Government of Pakistan who retired from service after a spotless career of about 35 years with senior level experience on research and development of integrated agricultural industries with regard to livestock and dairy development, poultry, aquaculture and apiculture, sustainable agricultural production system, fruits and vegetable, seed production, bioenergy and other cash crops. Mr. Usman is basically an agricultural scientist with specialization of agricultural/ chemistry working as plant breeder with regard to the yield and quality of various agricultural crops, released several varieties, presented and published research papers on crops and renewable energy in the different conferences like Geneva Mr. Usman established “Prominent Agro Based Industries SDN BHD” in Malaysia and “Foundation for Rural Development in Pakistan”, with primarily aims to work on integrated agricultural project for Rural Development through improvement in agriculture for rehabilitation of affected area. Dr. Farid Menaa (PhD, MBA, MD candidate) is an internationally inter- and multi-disciplinary professional with holistic concept of Medicine. More than 10 years experiences in academic institutions (e.g. France, USA, Germany, Brazil) and industrial sectors (e.g. Guerbet SA, SANOFI, Fluorotronics Inc.). He is an independent consulting expert, researcher and Chief Editor of Journal of Nanomedicine and Nanotechnology. He is also member of various scientific committees, boards and associations, and organized the Target Meeting´s 1st World Nanomedicine and Nanobiotechnology Online Conference. He has contributed to over 100 scientific articles, 200 international events, and is the recipient of various recognitions. Professor Alexander A. Kamnev, DSc in physical chemistry, is a Leading Scientist at the Institute of Biochemistry and Physiology of Plants and Microorganisms, Russian Academy of Sciences (Saratov, Russia). His current research has been focused on the application of spectroscopic techniques in studying biomolecules (including biopolymers), biocomplexes, supramolecular structures and microbial cells; spectroscopic detection of biospecific interactions using functionalised plasmonic nanoparticles; bioanalytical applications of vibrational (FTIR, Raman) and Mössbauer (nuclear gamma-resonance) spectroscopies. Professor Kamnev has published over 120 papers in peer-refereed international journals, has been regularly involved as an organiser of, and as an invited/plenary lecturer at a number of international conferences and in refereeing manuscripts for many scientific journals published by Elsevier, Springer, Wiley, RSC, ACS, etc. He is a member of Editorial Boards of several specialised scientific journals including Spectrochimica Acta Part A (“Elsevier”) and Current Enzyme Inhibition (“Bentham Science Publishers”). Mirosław Kwiatkowski in 2004 obtained Ph.D. degree at the Faculty of Fuels and Energy, AGH University of Science and Technology in Krakow, in the discipline: technology of chemistry. Currently he is working an assistant professor at the AGH University of Science and Technology, at the Faculty of Energy and Fuels. His published work includes more than 40 papers in international journals and 72 conference proceedings. He is a member of the editorial board of internationals journals as well as a member of the Organizing Committee international conferences, and a regular reviewer in a reputable scientific scientific journals. Main field of his interests is mathematical modelling of the adsorption process, description of the porous structure, practical aspects of adsorption, an analysis of the influence of the production method on the formation of the porous structure of carbon adsorbents, numerical analysis, computer science, energy efficiency, renewable energies and problems connected with municipal waste management. Apart from scientific work Mirosław Kwiatkowski also does some teaching. Runs classes on computer science, numerical methods, chemistry and is a tutor of a student scientific society called “Green Energy”. Denes Joo, after the Architecture and Urbanism University in Bucharest, he studied Mathematics-Mechanics, Economy, Sociology in Cluj-Napoca-city, and Post gradual settlement and Regional planning in Bucharest, and parallel with all these Physics, Chemistry, Astronomy, and other scientific disciplines without limits (and titles). Elaborating new mathematical prognosis models, he extended the Futures-Research to the Systemic Evolutions Research, as a new synthesis in the science, extending it from the terrestrial to the cosmic evolution, from the micro to the macro world. Dr Abbas Amini is an assistant professor at Western Sydney University, ACK, and the member of graduate supervisory board. After obtaining PhD, he conducted research with other Australian universities, as a postdoctoral research fellow at Monash and Deakin Universities, and as a senior research fellow at the University of Melbourne. His fine outcomes have been presented in high impact factor journals, e.g., Nature publication group, and a recent published book in 2016. Abbas is the editor of ten reputed journals, and the committee member of 20 international conferences. Prof. Rizwan Hasan Khan has received his Ph.D. in Biotechnology from Aligarh Muslim University, Aligarh, India during the period of 1992-1996. Currently he is working in the area of protein structure, function , protein misfolding / aggregation and amyloid induction and inhibition at Aligarh Muslim University. He has published paper in journals like Bio macromolecules, Langmuir, PLoS ONE, Biochemistry, BBA, BBRC etc. He has worked with Prof. I.J.Goldstein at University of Michigan USA as BOYSCAST Fellow and with Prof. Steve Perkins at University of London as Commonwealth Fellow. He has guided 16 PhD theses and completed 12 research projects. He had published around 233 papers in the journals of international repute with H index of 36 and total citation around 4898. His teaching interest is in the field of Biochemistry/Biotechnology for postgraduate. Sidney Hecht obtained his Ph.D. in Chemistry at the University of Illinois. He was an MIT Chemistry faculty member (1971-79) and was John Mallet Professor of Chemistry at UVa (1978-2008). He is Director of the Center for BioEnergetics in ASU’s Biodesign Institute. He was an Alfred P. Sloan Fellow, a John Simon Guggenheim Fellow and an ACS Cope Scholar Awardee. Hecht was selected as Virginia’s Outstanding Scientist for 1996. He received the 2011 ASU Faculty Achievement Award in Defining Edge Research: Innovation. He is Associate Editor of the Journal of the American Chemical Society and has published 440 research papers. Dr. Klaus D. Linse has earned a Ph.D. in Cell Biology/Biochemistry at the University of Hamburg, Germany, investigating microtubule proteins at the Max-Planck-Institute for Medical Research in Heidelberg and at DESY Hamburg. He is currently a Director of Scientific Operations at Biosynthesis Inc. in Lewisville, Texas. After receiving his Ph.D., he held positions at Porton Instruments Inc., and Beckman Instruments in instrument development and support. In 1944 he accepted position as Core Facility Director at the University of Texas at Austin. From 2009 to 2012 he was employed as a senior research scientist II at XBiotech Inc., Austin, Texas, in mass spectrometry analyzing therapeutic monoclonal antibodies. Modern bio-analytical techniques and methods to study the biochemistry and molecular biology of aging, the cytoskeleton, the immune system, and the clotting system, as well as wound healing and aging metabolism (epigenetics, DNA/RNA, protein carbohydrate metabolism) – general tissues and skeletal muscle – protein and peptide (drug) targeting / delivery / trafficking. 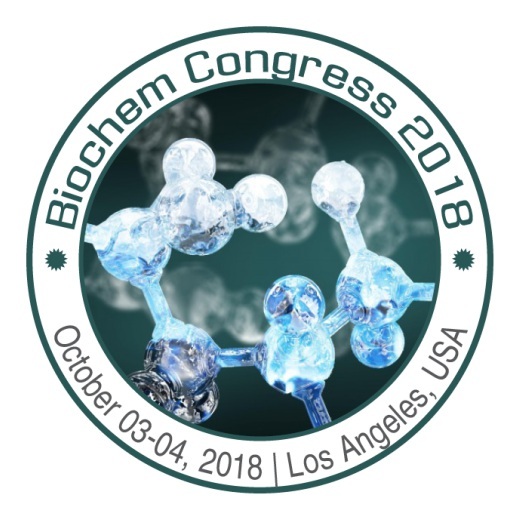 Using and develop of bioanalytical techniques and methods for low level analysis of biomolecules involved in aforementioned processes. Synthesis and characterization of cysteine rich peptides (such as knottins and similar). Analysis of function and structure of biomolecules. Biochemistry of ion channel toxins, epigentics and aging. Food, supplements and vitamin analysis as well as metabolic interactions with emphasis on genetics, epigenetics, metabolomics, lipidomics and proteomics. Dr. Moses Prabu completed his bachelors in Physics from The American College, Madurai, India. He continued his education in the same institution and received a Master’s degree in Advanced Physics with specialization in Quantum Optics and Solid State Physics. Around this time his passion for understanding biomolecules using modern physics grew deep and he switched fields to pursue his graduate research in determining structure function of proteins. He received his PhD in biophysics from Indian Institute of Science, Bangalore, India, where his contributions revealed new insights into plant lectins, microbial RecA and chemical evolution. He joined Dr. Celia Schiffer at UMASS Medical School, Worcester, MA, to conduct his postdoctoral research in HIV. His research led to the discovery of a “substrate-envelope” hypothesis which revealed the structural rationale for substrate specificity, drug resistance and coevolution of HIV-1 protease. This elegant approach has attracted several researchers to rationalize proteins with promiscuous specificity for molecular recognition. He subsequently accepted a faculty position at the Commonwealth Medical College, Scranton, PA, where his research projects include the characterization of a variety of aspartyl proteases using X-ray crystallography, tissue culture, biophysical techniques, and collaborative clinical research. As a founding faculty member of the Medical College, he played a pivotal role in establishing the Institution’s educational and research enterprises. He continues to serve the community by developing student internship programs that bridge industry and academia. In addition to his current role as a Protein Scientist, he also offers professional consultation services on regulatory implications on clinical application of biological drug compounds and preclinical testing of investigative drugs. Dr. Prabu’s research spans highly diverse fields that bridge biomedical research and social sciences. Determining the molecular mechanism by which proteins perform their biological function. In certain cases, protein activity leads to several types of pathogenesis and human disorders. He interested in elucidating the structure, function and dynamics of such biomolecules to develop novel therapeutic methods using a wide-range of biophysical techniques. Specifically, he is very interested in structure-based drug design that use X-ray crystallography, isothermal titration calorimetry, chemical cross-linking methods, circular dichroism, molecular modeling, bioinformatics and proteomics. In parallel to his basic science research, Dr. Prabu is also involved in collaborative clinical research and studies involving human behavioral patterns in social settings. Subha Bhassu completed her graduation BSc. (Biomedical Sciences) in the year 1996 from University Kebangsaan Malaysia, Kualalumpur. Later she did her PhD in Molecular Biology from University Putra Malaysia. In the year 2010 she got appointed as CEBAR Biosafety Commitee(CBC) Member. Dr. Subha Bhassu keen interest is on the animal genome and biology. Disease outbreaks in shrimps and prawns spark her interest to use this species to be an animal model to understand phenotype expression of any traits arises from genotypic and environment changes. Therefore aspects of genetics, genomics, proteomics, molecular biology is applied in her experimental design that quantifies changes in host at single cell level, organ level and system level in response towards pathogen as a first line of defense. Hanee M. Al-Dmoor, Prof. of Food Science and Technology at Nutrition and Food Processing Department in Al-Balqa Applied University. Prof Al-Dmoor an international expert in Food Science and Technology , has published more than 40 papers in reputed journals and has been serving as an editorial board member of repute. He has established the Scientific Food Center which is a private research & developments center focus to serve broad categories of food businesses worldwide from farm to the fork. The center provides many scientific services such as analysis, consultation, research, developments, and assessment for accreditation for certifications such as ISO, HACCP, GMP and training. Also Prof. Al-Dmoor has established the Scientific Facts Center which is a private research, developments & Training center as one of the most non profits organization in Jordan. 10 years of experience as a teaching assisstant and researcher. Comprehensive knowledge of drug delivery through biological barriers, derived from extensive graduate training in UCL School of Pharmacy and Beni Suef Univerisity. Multi-year of research has focused on skin and buccal drug delivery. Research has provided pivotal information in understanding biological barriers characteristics and stratigies to deliver drugs through these barriers. Key research expertise areas include: buccal delivery, skin delivery, and cosmetics. Professional Training includes: Permeation studies, Chromatoghraphy, and In vivo studies. Dr. Yaj Banerjee was awarded his PhD by The National University of Singapore in 2008. He pursued his postdoctoral studies from The Scripps Research Institute, La Jolla, USA. He was then awarded the Alexander Humboldt Fellowship, and was an independent Research Fellow at the Max-Planck Institute for Biophysical Chemistry in Goettingen, Germany. He joined the faculty of Biochemistry in the School of Medicine at SQU, Oman where he was the director of the Biomedical Sciences program, and involved in the teaching of coordination of Biochemistry courses in the Medical and Post-graduate curriculum. He has published more than 46 articles in reputed journals and has been serving as an editorial board member 8 journals of repute. He also has three international patents to his name. His research focus is directed to the understanding of the biochemistry of blood coagulation and disorders pertaining to lipid metabolism. Professor Piotr Laidler is a Polish scientist who lives and works in Kraków, Poland. He received MS in Chemistry from the Faculty of Mathematics, Physics and Chemistry of the Jagiellonian University (JU), Kraków, Poland in 1971. His PhD and habilitation in Biology with specialization in Biochemistry (Dr hab) were granted at the N. Copernicus Medical Academy in Kraków in 1979 and 1992 respectively. In 2004, the Medical Faculty of the Jagiellonian University Medical College (JUMC) conferred the title of Professor of Medical Sciences on him. He was the Director of the Institute of Medical Biochemistry from 1996 until 2005. In 2005, he became the Head of the Chair of Medical Biochemistry of JUMC, and since 2012 he has been fulfilling duties of the Vice-Rector of JU for Medical College. Professor Laidler is committed to teaching chemistry and biochemistry to students of medicine and dietetics (Faculty of Medicine, JUMC), emergency medicine (Faculty of Health Sciences, JUMC), as well as veterinary (University Center for Veterinary Medicine). He has also been involved in teaching chemistry and biochemistry in English to international students at the School of Medicine in English, JUMC since its foundation in 1994. SME provides medical and dental education to over 700 hundred students from more than 20 different countries from all over the world. Professor Laidler published nearly 100 papers (international peer reviewed journals) in the fields of biochemistry, cell and molecular biology as author and coauthor, and over 150 conference communications at national and International conferences. He has also coauthored several chapters in books, monographs and textbooks. For years Professor Laidler’s research interests focused on enzymology and glycobiology, but in recent years, biology and biochemistry of tumor cells have been his prime interest. His group has been carrying out research into expression and functional characteristics of adhesive proteins and signaling pathways, and molecular mechanisms involved in the development and progression of cancer (cell cycle, apoptosis, EMT/metastasis). They have also been evaluating the possibility of applying biophysical methods (atomic force microscopy – AFM/SFM) to characterize mechanical properties (flexibility and adhesion) of tumor cells. Research projects of his group have been carried out in cooperation with a number of scientific institutions in Poland, Europe (Austria, Bulgaria, Denmark, France, Germany, Great Britain, Italy, Latvia, Norway, Spain, Sweden, the Netherlands), and the United States of America. The main aim of Professor Laidler’s scientific studies is the search for effective methods of cancer treatment. Makedou Kali has a PhD on LDL oxidation and cardiovascular disease prevention. She is Lecturer of Medical Biochemistry in Laboratory of Biological Chemistry, Medical School of Aristotle University of Thessaloniki, Greece. At the moment she has 25 publications and has gained 131 citations. Kali Makedou research has been focusing on biomarkers of atherosclerosis, obesity, oxidation and inflammation, pregnancies at risk, as well as lipoprotein oxidation and natural antioxidants. She is currently also involved in the diagnosis of inborn errors of metabolism. Dr. Yau-Huei Wei completed his PhD in Biochemistry in 1980 at the Department of Chemistry, State University of New York at Albany and postdoctoral study at the Departments of Chemstry and Physics of the same university. In 1981, Dr. Wei started working as an associate professor at the Department of Biochemistry, National Yang-Ming University. He was promoted to professor in 1985 and served as the Chairman of the Department and was appointed as the Dean of Students Affairs and Dean of Academic Affairs, National Yang-Ming University. He is the President of Mackay Medical College, New Taipei City, Taiwan. He has published 375 papers in reputed journals and is serving as an editorial board member of Mitochondrion, Biochimica et Biophysica Acta – General Subjects, and Free Radical Research. Dr. Wei have been studying the role of alterations of mitochondrial function in aging and diseases and in stem cell differentiation. Dr. Wei have focused on the molecular basis for the pathophysiological changes in affected tissues in patients with mitochondrial diseases, and investigated oxidative stress-elicited alterations of gene expression and mitochondrial network in human cells harboring pathogenic mtDNA mutations. They discovered that protein kinase C-delta, PGC1-alpha and AMPK are involved in mitochondrial biogenesis and regulation of mtDNA copy number under oxidative stress, which may explain the over-proliferation of mitochondria in muscle of patients with mitochondrial diseases such as CPEO, MELAS and MERRF syndromes.